Working with our partner Cycle Toronto we have tailored their popular Safe Cycling 101 Workshop to highlight the opportunities and challenges of cycling in suburban areas. 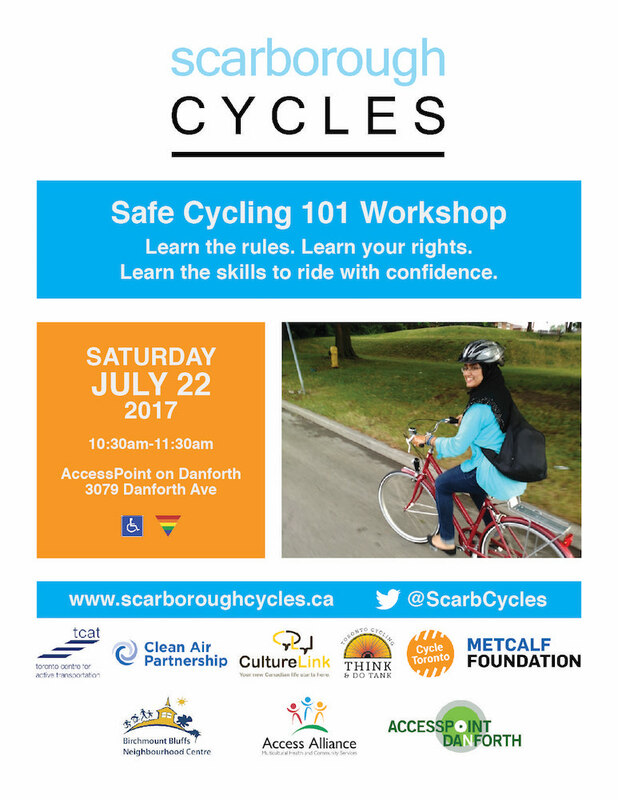 We will cover basic safety rules, the most enjoyable routes in Scarborough, how to correctly use a helmet and bike lights, how to make the most of your bicycle, and more! Rooms 4, 5, and 6.